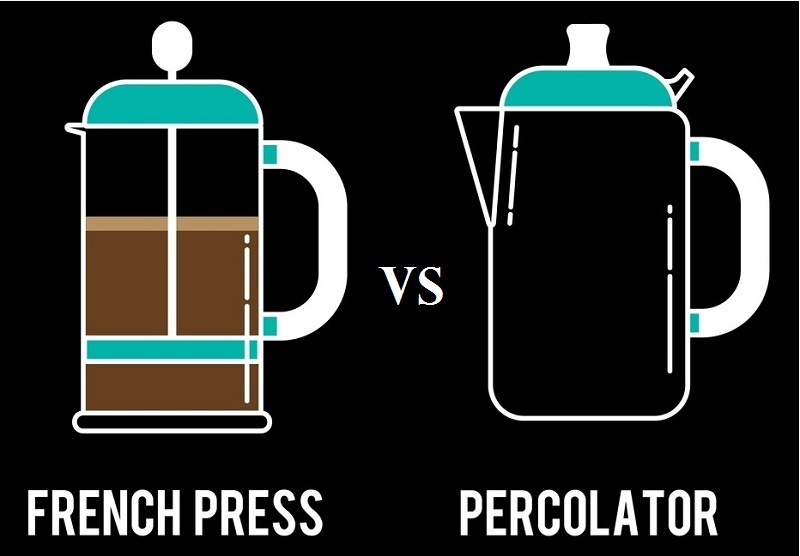 How Does a French Press Differ from Other Coffee Makers? The French press coffee maker is known around the world by a variety of different names, including cafetière, press pot, and coffee plunger. The coffee press was first patented by a man named Attilio Calimani in 1929. The design was further modified by Faliero Bondanini who patented his version in 1958. Today’s French press typically consists of a beaker and a lid with an attached plunger outfitted with a nylon or stainless steel mesh filter. The French press works by allowing coarse ground coffee to steep in water that is just short of the boiling point. You then use pressure to force the grounds to the bottom of the beaker by pressing down on the plunger. The result is a dark, flavorful, full-bodied coffee. 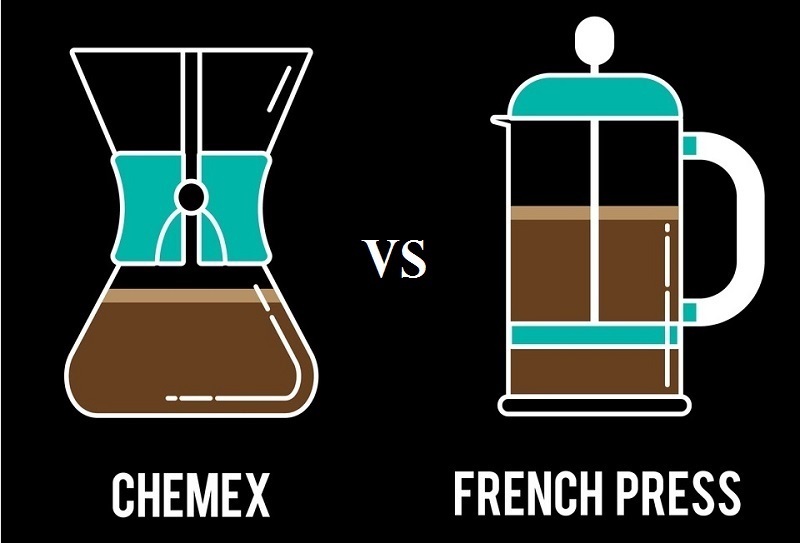 What Makes a French Press Different from Other Coffee Makers? Drip, French press, AeroPress, pour over, and Chemex brewing methods each have their fans and detractors. Each method extracts different aromas, oils, and flavors from the coffee beans to produce a distinctive flavor. Ultimately, the best method is the one that produces the cup of coffee that you like. The beauty of a French press is the simplicity of its design. There are no lights, buttons, or moving parts that can fail or leak. On the other hand, you do have to be on hand to monitor the brewing process. This can be a significant downside for those who like to wake up to brewed coffee or attend to other tasks while their coffee is brewing. Making coffee with a French press is an art that does take some time to perfect. Taking the time to grind your beans precisely is essential to creating a good cup of French press coffee. You can tweak the brew to your personal taste by adjusting the amount of coffee as well as the steeping time. This is in contrast to the drip coffee maker where you simply pour in coffee and water and press a button. French press coffee retains more of the coffee’s natural oils, which gives it a different mouth feel than drip coffee. Since the grounds remain at the bottom of the French press and continue to steep, the coffee can become bitter. Drip coffee is smoother and less intense. 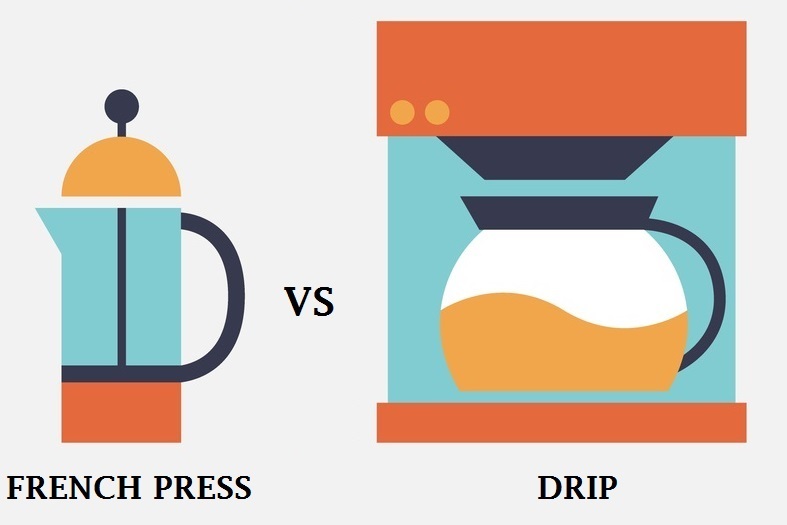 While the French press uses slightly hotter water than a drip coffee maker, the final result will typically be a cooler cup of coffee due to the steeping time and lack of a warming plate. Although most French presses are glass, there are stainless steel models available that will keep the coffee hot longer. 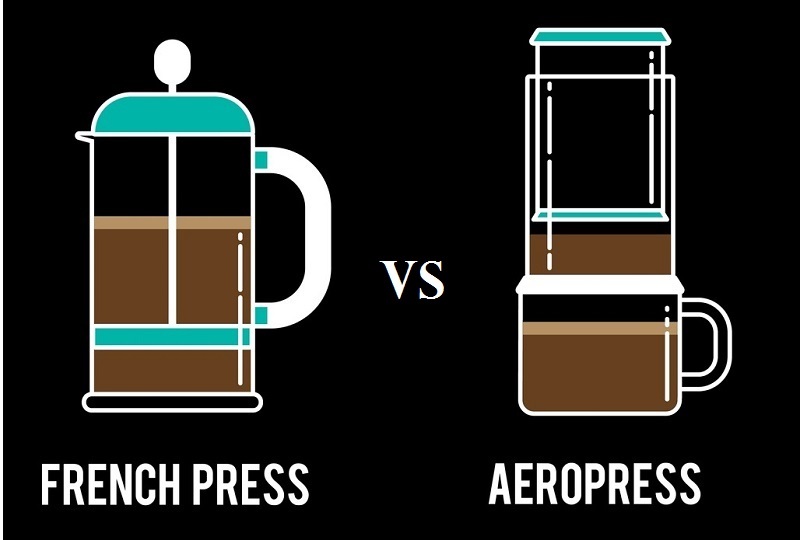 Whereas the French press has been around for nearly a century, the AeroPress did not hit the market until 2005. 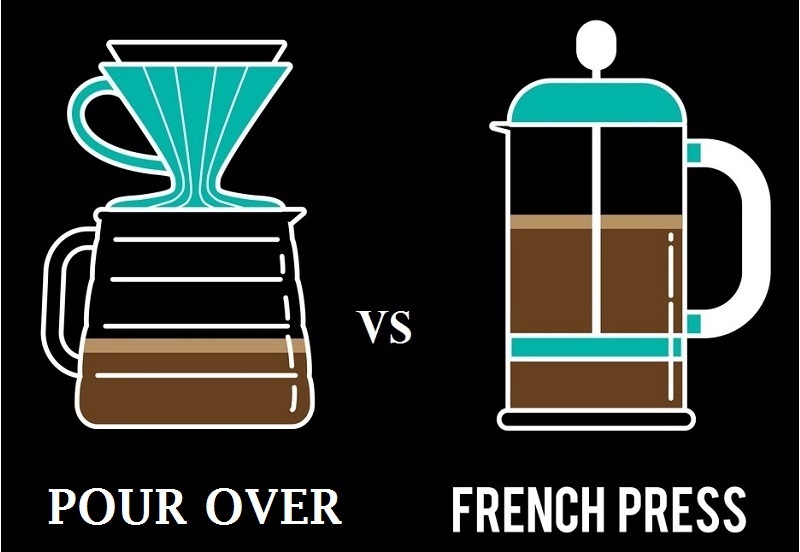 The French press uses coarse-ground coffee and a long steeping time compared to the AeroPress, which uses fine grounds and pressure for a fast extraction. The AeroPress will give you an espresso-style coffee; however, it is not considered true espresso since it is not brewed under high enough pressure. The filter of the AeroPress tends to let fewer grounds into the coffee than a French press, so the coffee is not as “muddy.” The flavor of AeroPress coffee is also much smoother than French press coffee. The fact that the AeroPress gives you an espresso-like brew provides you with more drink options than a French press. You can use AeroPress coffee for cappuccinos, lattes, or Americanos. The French press is solely for coffee. The primary distinction between French press and pour over coffee makers is that the grounds do not remain in the water after brewing. To make pour over coffee, the grounds are placed in a cone-shaped filter situated over a serving carafe. Boiling water is then slowly poured over the coffee in concentric circles until all of the grounds are saturated. The process is repeated until you have the desired amount of coffee. You can control the flavor and richness of the brew by varying the speed with which you pour the water over the grounds. Pour over coffee is smooth and does not have the oily or muddy texture of French press coffee. The flavor of pour over coffee tends to be clean and slightly fruity, which allows you enjoy the subtle differences between various single-origin and blend coffees. Both French press and pour over coffee makers are elegant in their simplicity and are highly portable since they do not rely on electricity. Chemex is a type of pour over coffee maker; however, instead of a stainless steel mesh filter, you use a heavy Chemex-branded paper filter. This creates a brew that is even cleaner and smoother than other pour over coffee makers. Critics of the method point out that the heavy paper filter also removes much of the coffee oils that provide the flavor. The French press is certainly much faster than the Chemex. French press coffee is allowed to steep for 4 minutes regardless of the amount of coffee that you want to make. The steeping time required with a Chemex increases as you use more coffee and water. When brewing coffee with a Chemex coffee maker, you also have to prewash the filter, which adds a step to the prep time that you do not have with a French press. Clean-up, on the other hand, is easier with the Chemex since all of the grounds are contained in the filter. With a percolator, the coffee is continually brought to just shy of the boiling point and recirculated through the grounds. This results in a brew that is extremely strong, full-flavored, and hot. The method is quick and efficient; however, the coffee can easily burn. A French press produces a very dense and aromatic brew and requires more precision in the grinding and preparation to ensure a quality cup of coffee. Each of these coffee makers is relatively inexpensive, so there is no reason why you cannot indulge yourself with more than one. This will allow you to switch brewing methods to suit your mood.